Purchase Offers 0% p.a. on purchases for 14 months. Available when you apply and are approved by 22 May 2019. Purchase Offers0% p.a. on purchases for 14 months. Offer ends 22 May 2019. The St. George Bank Amplify Classic credit card has moderately high interest rates, a moderate interest-free period and a moderately low late payment fee. The card also has a moderate annual fee that is waived in the first year. This credit card has an associated reward scheme, Amplify Rewards, that lets card holders earn points on eligible purchases that can be redeemed with Qantas. This reward scheme receives at a rate of 0.5 points per $1 spent on eligible purchases. Customers also earn double points on purchases made at one of many Qantas Frequent Flyer program partners. Unlike some other credit cards, the points you can earn with the St. George Bank Amplify Classic card are uncapped, which means your earn rate will not decrease after you’ve hit a points cap. The St. George Bank Amplify Classic rewards card is particularly suitable for existing Qantas Frequent Flyer members. The card will help current Qantas customers earn more Qantas points as they make eligible purchases at a rate of 0.5 points per $1 spent. The moderately high interest rates make this card a better fit for card holders who always pay their credit card bill in full and on time each month. 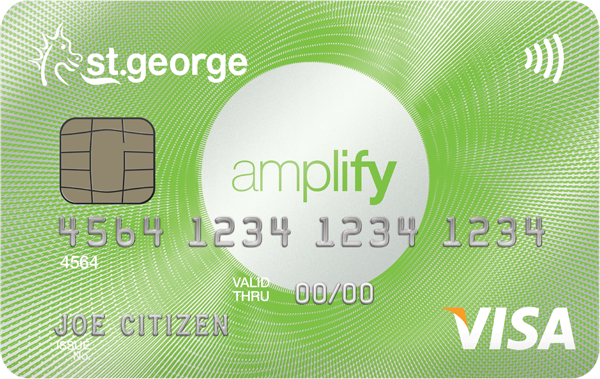 The St. George Bank Amplify Classic credit card may not be a sensible choice for budget card holders. Not only are the interest rates relatively high, but there are also several fees associated with the card. While the annual fee is waived in the first year, it is a moderate fee ongoing. This credit card also charges an overseas transaction fee, a late payment fee and a card replacement fee. The St. George Bank Amplify Classic card has a moderate annual fee for a rewards card (which is waived in the first year). 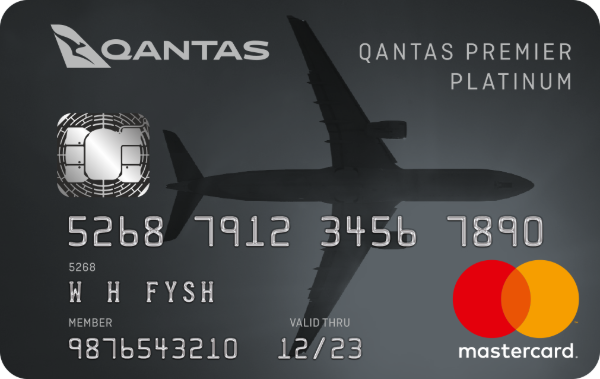 This is a reasonable credit card choice for current Qantas customers, as it will help them raise their status and receive more flight benefits. For potential card holders who are not Qantas Frequent Flyer members or do not travel often, the card offers few advantages. The rewards scheme is designed in a way to benefit Qantas travellers and, as such, non-travellers may be better off with a credit card that earns them points for products or vouchers. Although the St. George Bank Amplify Classic card helps customers earn points that can be redeemed for travel perks, the card is not necessarily fit for international use. The card charges an overseas transaction fee that may deter some customers from using it as their card while travelling. To apply for the St. George Bank Amplify Classic credit card, you must be at least 18 years old and be an Australian citizen or permanent resident. The application will require you to submit a form of identification and foreign tax details if applicable. You’ll also need your income and employment details, as well as any relevant financial commitments. Apply via a secure online application in only 10 minutes and get an instant response after submission. St. George Bank was founded in Sydney in 1937 and achieved full bank status in 1992. It is one of Australia’s leading providers of retail and business banking. Their consumer offering includes credit cards, bank accounts, home loans and personal loans. For businesses and corporate entities, St. George Bank offers credit cards, business loans, superannuation services and payment solutions. In 2008, St. George Bank became a part of the Westpac Group.